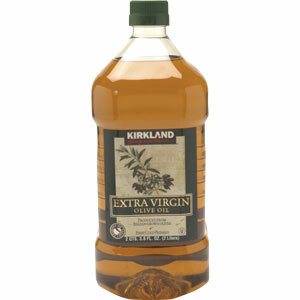 We use extra virgin olive oil here. To buy it at the local store it is tres expensive, so whenever my father in law goes to Costco I get him to pick up a container of Kirtland's for me. We get the 5 litre container and it's usually about $28. However, this week it was on sale in TWO flyers! Superstore and No Frills. Same brand. Same company owns both stores. WAY different prices! 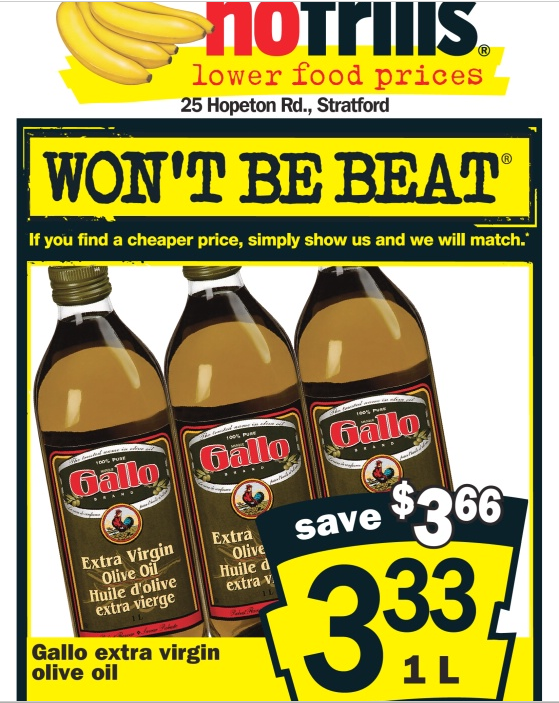 Superstore had their 1 litre Gallo extra virgin olive oil on for $5.99. That's $29.95 for the same amount that I pay $28 for. No savings. 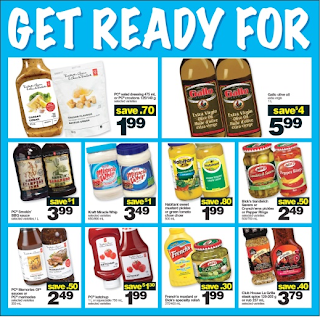 Then I saw the No Frills flyer and I had to do a double take. 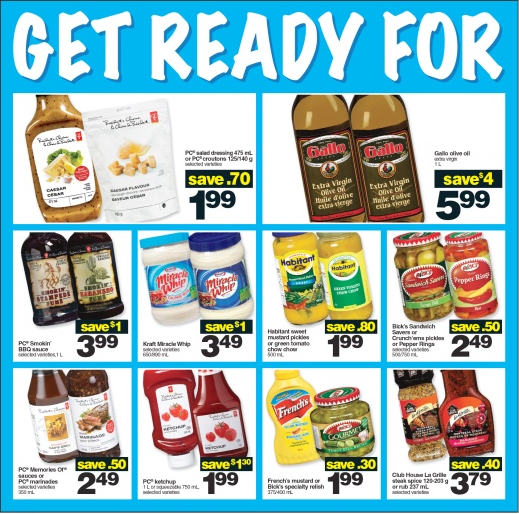 There, on the front page, was the EXACT SAME OIL on sale!! 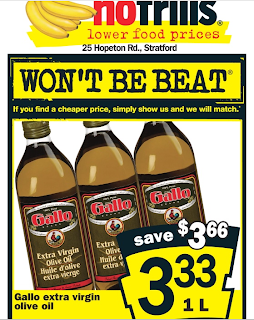 Gallo extra virgin olive oil on for $3.33/litre! That's $16.65 for the same amount that I pay $28 for at Costco! YES! It's a great deal! Today, I bought 12 for my storage. So, if you use olive oil, run to No Frills and check it out! From what I have been able to understand, No Frills DOES NOT give out rain cheques. Please let me know if I am wrong, but last night I wasn't able to get one for chicken. Know of any other great deals out there this week? Send it on in and we'll post them all! It really does pay to check store flyers! A lot of people lose out on some great savings, but it takes no time at all to check and make a shopping list. Paying just over half price is a great steal!